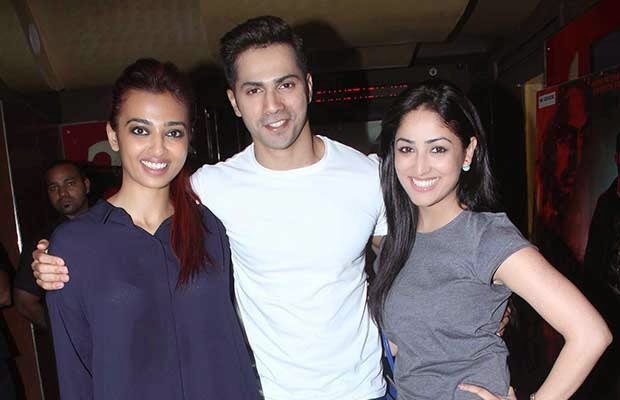 Varun Dhawan’s much awaited film Badlapur starring Nawazuddin Siddiqui, Huma Qureshi, Yami Gautam, and Radhika Apte released on February 20. 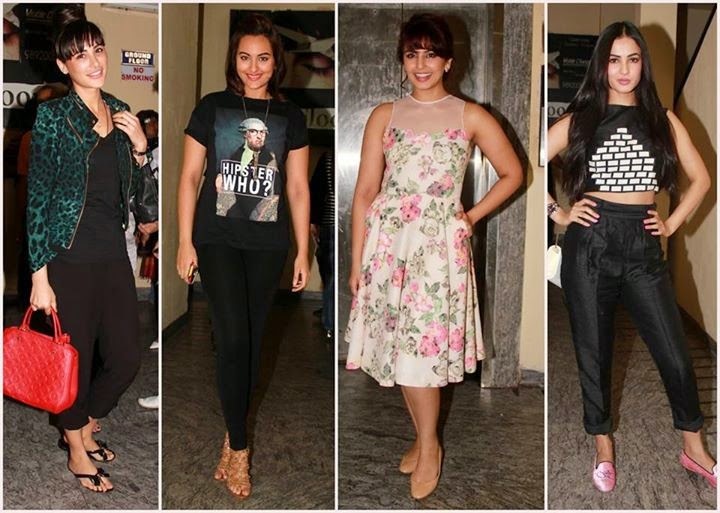 The screening for the same was held in Mumbai where other than the entire cast of Badlapur, Sonakshi Sinha,Nargis Fakhri, Saqib Saleem, Manasvi Mamgai, Sonal Chauhan and more actors were present. Varun Dhawan looked dapper with a clean shaved look in his casual white tee and blue jeans attire. The young’un is thrilled about the positive response he is getting from his movie. An ambitious Varun is rooting for Badlapur to cross the target of Rs 100 crores. The on screen chemistry of Varun and Yami Gautam was commended by a lot of celebrities who’ve watched the film. Actress Huma Qureshi, who is getting good reviews for her performance in her latest release Badlapur, has given credit to the film's director Sriram Raghavan. "We feel good when we get appreciation because as actors we work for appreciation. I thank Sriram Raghavan. It's just because of him the film happened. The way he conceived all the characters, the way he directed all of us is amazing," Huma said.